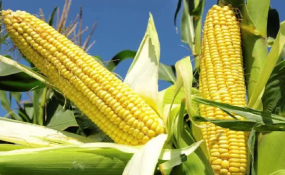 Millions of bags of maize that goes to waste can be salvaged if members of Parliament pass a piece of legislation that will allow investors to set up modern warehouses that can preserve maize for up to three years without yellowing. The Eastern Africa Grain Council on Thursday told the National Assembly Committee on Agriculture that MPs should fast-track the Warehouse Receipts System Bill if the country wants to achieve its goals on food security. Group Executive Director Gerald Masila told the committee chaired by Mandera South MP Aden Haji that there are already three investors who are ready to commit billions of shillings to set up the modern warehouses across the country to save it from perennial wastage of maize grain. "The issue of maize going bad in the silos will be a thing of the past if MPs pass this bill. It is now upon you members to save farmers and the country at large," Mr Masila said. He cited Cargil International in Mombasa, Grain Bulk Handlers and IFS as the organisations that are ready to put up the modern warehouses. Mr Masila said the country needs about 3,000 to 5,000 warehouses to store its harvests, including beans and rice. Countries that have invested in modern warehouses include India, South Africa, United States of America, Tanzania and Zambia. At the moment, Mr Masila told MPs, the National Cereals and Produce Board (NCPB) can only store maize in their silos for six months or less. The Warehouse Receipts System Bill has been in Parliament since 2015. The Senate has already dispensed with it and it is currently in the National Assembly. The objective of the bill is to provide a legal framework for the development and regulation of a warehouse receipt system for agricultural commodities to address marketing challenges associated with cereals and grain sub-sectors in Kenya. It also provides for the grading of agricultural commodities by certified graders, as well as the weighing of agricultural products using equipment calibrated in accordance with the Weights and Measures Act. The bill further provides for the issuance of a warehouse receipt for agricultural produce deposited in a warehouse, the establishment of a central registry operated by the council for purposes of registering transactions relating to a warehouse receipt issued, the replacement of lost, stolen or destroyed receipts and the status of the duplicate receipts issued. If enacted, the country will save millions of bags of maize worth billions of shillings that is wasted when the grain goes bad in NCPB silos.